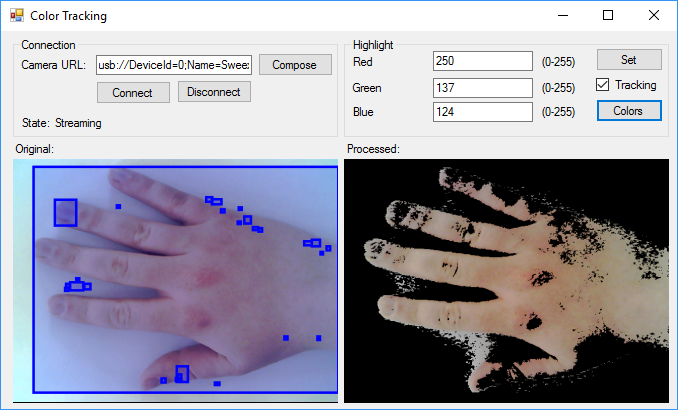 Based on the information provided on this page you will be able to implement color filtering and tracking with your C# camera application. As a first step, OZEKI Camera SDK has to be installed and a reference to OzekiSDK.dll has to be added to your Visual Studio project. You can write a code to recognise the most dominant color in the picture, since the color with the biggest total rectangle area is the most dominant color (Figure 3). The total rectangle area can be calculated by adding the area of every rectangle of a tracked color. If you count the number of rectangles, you are be able to count the objects with a choosen color (Figure 4). Keep in mind to only count the rectangles with the proper size. Color detection is a great application which can make your business life a lot more easier. 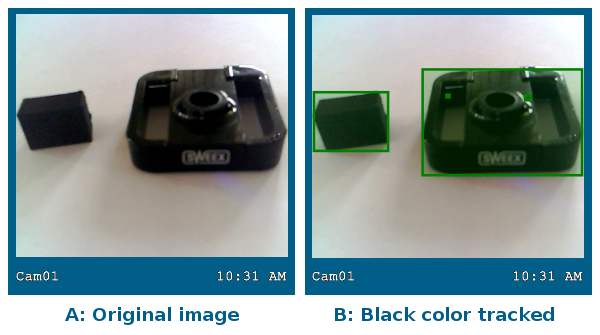 Color detection can be an effective help in public and private environments. For example: if you would like to detect the color of the car stopped at the barrier or if you wish to count the number of red cars in the parking lot or on the highway. By tracking a chosen color you can analyze the movement of unique colored objects. You are capable to filter any color you choose from the RGB scale. The background of the filtered color can be in any color as well. 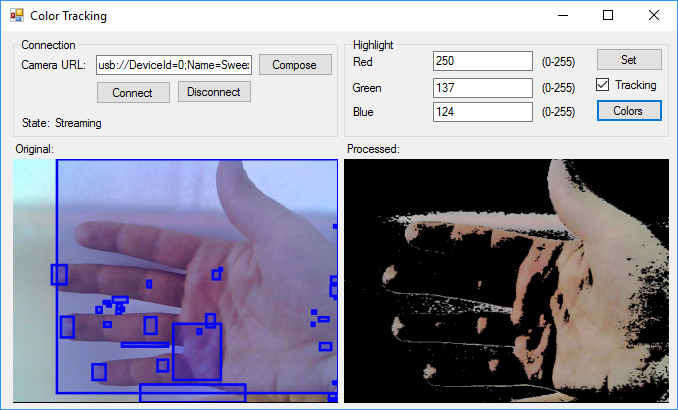 The movement of the objects with a chosen color can be tracked. You will visually see the tracked colors in the form of moving rectangles. You can read the shape, position and number of rectangles in real time. You can also set the color of the rectangles. 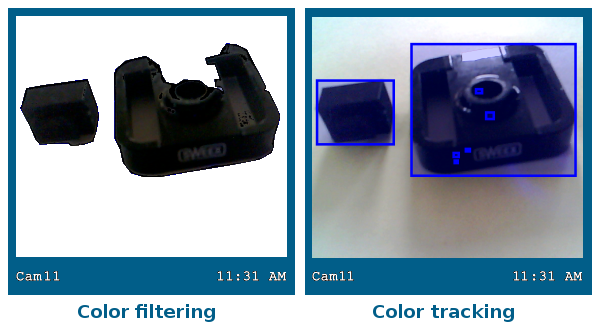 For detecting colors we advise you to use the ColorTracker object of the Ozeki Camera SDK. This is an individual object working on it's own. Webcamera instance, with the help of this we can get the camera stream. These object instances are connected to the camera stream with a MediaConnector, so you will be able to show the camera stream on your display. With the help of this lecture you can successfully implement color detection with your C# camera application using the Ozeki Camera SDK. After examining this article you will have the needed information to be able to benefit from the color detection function on different fields of analytics. You should add the OzekiComputerVision.dll to the references of the solution.